The demand for savings and efficiency increase are a constant struggle in public safety. Still no one is willing to jeopardize the functionality and the service level of the operations. The risks of modern world, including terrorist attacks or nature catastrophes, are in fact increasing. This leaves the actors to think about the capabilities of modern technology. Better communication has improved efficiency in other fields, why shouldn’t it accomplish similar effects in public safety. The mobile connectivity has changed the lives of everyone. With the boom of handheld smartphones every user understands the benefits and capabilities of the wireless internet. Simultaneously most of the public safety operators lack behind in TETRA –type or even older analog technologies. It is difficult to understand why an expensive public safety vehicle shouldn’t have the same or better capabilities than most of the teenagers have in their pockets. Efficient modern public safety organizations demand access to databases like patient records, criminal registers, stolen car registers and even building drawings. This all could be realized by saving the all necessary data inside the vehicle computers, as done often, but this approach creates problems with updating the files. A key imperative is that this data is always up to date, since otherwise our security and health is endangered. Information sharing between jurisdictions will be important when making PSS operations more effective. This means collecting and forwarding data between the officers various jurisdiction data bases. If we are happy with current voice based queries and in best cases SMS-type data services, all these applications are impossible. It is obvious that broadband capability that fits the public safety requirements is the imperative for efficiency improvement. This creates the next dilemma. What is needed from the PSS broadband solution technically and how can we afford it? Current PRM systems cannot offer required data capacity for above mentioned broadband applications. Simultaneously no single existing commercial broadband network can offer needed coverage, availability and reliability. The cost of building a suitable dedicated PSS broadband network is through the roof and thus out of question. The only way to tackle this techno-economical problem is multi-channel routing technology. The multi-channel router technology offers means to utilize existing parallel commercial and private networks. Multi-channel routers need to be populated with several parallel wireless terminals supporting a wide variety of different radio technologies or operators’ networks. Routing of mission critical traffic need be performed always using the best network available. The target of the public safety vehicle is to use it efficiently. Since routing elements are outside office premises the solution requires means to maintain and control the terminals and routers. For this reason a remote device management, which allows easy and accurate management of installed devices, is required. Through this remote management system administrator can monitor and control the utilization of different networks and even further optimize the usage of available capacities based on the collected usage information. This all saves money and brings the Total Cost of Ownership to an acceptable level. It is also a safety issue. When actually no configuration is possible inside the vehicle, the control of the connectivity remains always centralized. 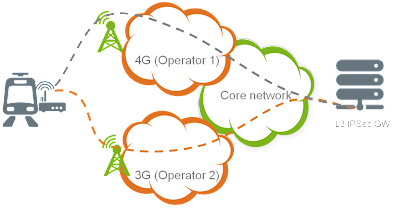 Adaptation to new emerging LTE technology will also be much easier and smoother if broadband connectivity is introduced to the field users using already broadband data. The new services that demand extremely high bandwidths can be easily introduced on top of the exiting platforms. The multichannel approach enables the usage of LTE where it is implemented and the next best alternative elsewhere. As the LTE networks grow, the coverage for these services will gradually improve. The good news is that this is all available today. 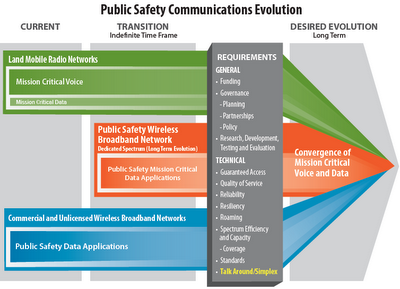 Advanced public safety operators use this type of system efficiently today. There is no reason why a similar system should not benefit all the officers in the 3,3 Million public safety vehicles in the world! The rolling stock has not been seen as one of the most dynamic and quick adopters of new technology. The security issues, the need for durability over long time periods and the lack of useful applications has limited the introduction of modern data communications. This has meant that usually for operational need the single GPRS modems have been a solution that’s good enough. Simultaneously the demands for customer WiFi and other infotainment have demanded more comprehensive and modern solutions that enable broadband. The customer WiFi solutions, however, often lack the security needed for operational safety. Now there are available solutions that, either in separate or same system, can provide both secure broadband data for operational and service use as well as infotainment type customer solutions. 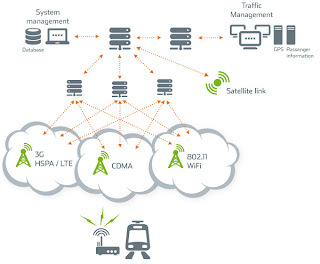 The cutting-edge mobile multi-channel routers provide a reliable and cost-efficient broadband connection for all rolling stock installations. This makes the vehicle operation a lot easier and safer. Furthermore, fast and reliable wireless connections enable passengers to use the Internet for work, studying or fun without any frustrating interruptions. Goodmill w24e-R -router selects the best possible combination from existing networks and uses them reliably and efficiently. This router switches between networks seamlessly – guaranteeing uninterrupted connectivity throughout the journey. This ensures reliable, secure, and cost-efficient locomotive maintenance systems, signaling, WiFi coverage for onboard wireless systems, broadband connectivity, and Internet. Promote your own services and special offers to passengers using an on-board Web portal. Goodmill Systems Ltd. introduces this revolutionary router solution that enables outstanding broadband connectivity at an affordable price. The extensive technological experience together with thorough knowledge of rolling stock organizations’ needs has enabled us to create this ground-breaking technology that will revolutionize connection reliability. 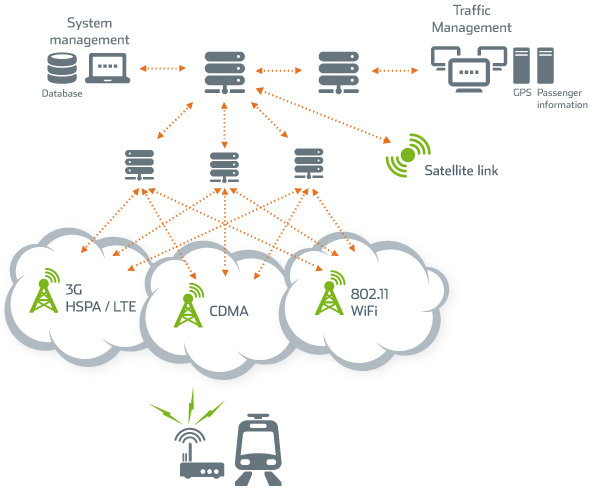 The future of critical data connectivity has been said to be LTE. 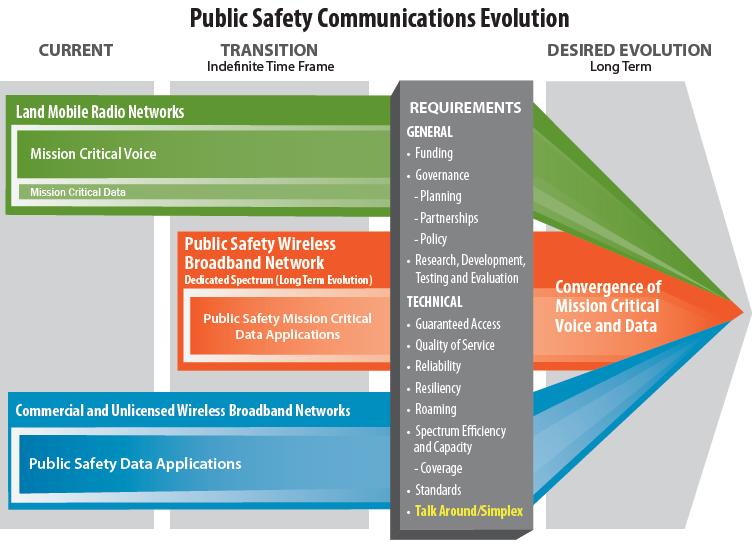 The Long Term Evolution networks should be the answer to public safety or any vehicle data application where large data streams are needed. The possibilities for on-line video surveillance and larger picture file transmissions for on-line usage have been just waiting that LTE will develop out of its infancy. We at Goodmill Systems have always been questioning the idea that just one network and one technology would be enough for critical applications. Our recent tests show that even with the usage of LTE there is a great need for multi channel approach in moving vehicles. The set/up for the testing was to use one LTE operator as the primary link to the selected gateway and another, alternative 3G network, as a second WAN link. The initial target for the pilot was to see the general availability of the networks in moving vehicles as well as to get first implications in the capacities achieved through the selected networks. Achieved data capacities were from 2-10Mbit/s upstream and 3-10 Mbit/s downstream in the LTE network with average streams at 4Mbit/s down and 6Mbit/s up. Availability for both networks in general was high in comparison to previous experience from Goodmill in similar applications in moving vehicles. LTE availability was surprisingly high considering the early phase of the network implementation. The short testing period supports the fact that despite the great availability of 3G and LTE, the moving vehicles propose a challenge to the operation that can only be overcome by using multiple networks with very fast switch over smartly. It is feasible to think that multi channel solution with two or three selected WAN links will provide enough secure availability and bandwidth for the needed high end surveillance application. For more detailed documentation of the study, please don’t hesitate to contact us.